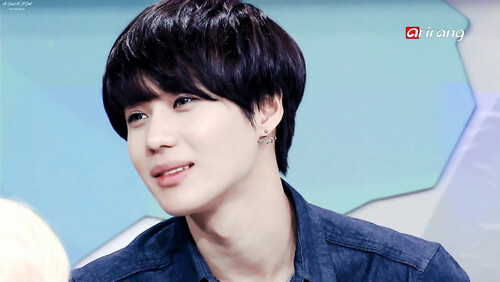 Black Hair Taemin 태민. . HD Wallpaper and background images in the Lee Taemin club tagged: photo shinee taemin onew jonghyun key minho sm korean 태민. This Lee Taemin photo contains ritratto, headshot, primo piano, and closeup. 140817 fan account trans - TAEMIN CRIED!! !